The most interesting fact about javelins is that they are exclusive to Wardens. The next most interesting thing about them is that they share the same skins as spears do and are equipped to your ranged slot instead of a melee one. If you've seen the spear skin collection post from a couple of weeks ago, you might recognize most of these skins. In comparison to all other weapons, javelins take up the smallest part of weapon database, with almost all of the skins being craftable and requiring very little creature farming. This collection presentation will be handled differently, due to how javelins are previewed. 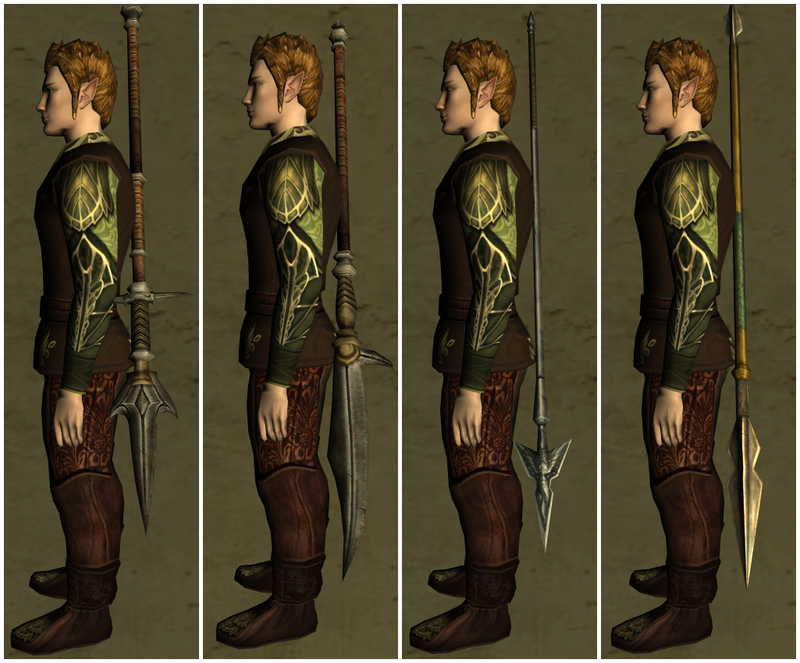 Unlike the weapons held in a hand, ranged weapons are viewed vertically and not horizontally. To save space and prevent a very lengthy post, I've compiled these into sets of four. Below each set will be a description of each javelin from left to right. As usual, if you know of another weapon shares the same skin and isn't listed below, let me know! 2. Carved Black Ash Javelin - Crafted from the recipe of the same name. Javelin of Seeking - Drops from any lootbox 50 or lower, but with slight variations on the name. Commonly found in the AH. Reinforced Black Ash Javelin - Crafted from the recipe of the same name. 8. Holly Javelin - Crafted from the recipe of the same name. 9. 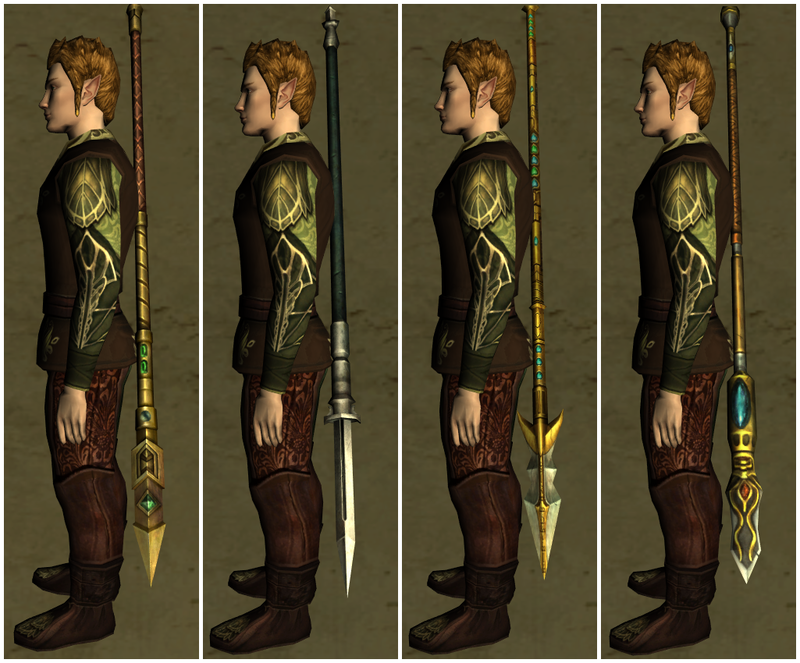 Reforged Warden's Javelin of the Second Age, level 75 - Crafted from the recipe of the same name. 10. Reforged Warden's Javelin of the Second Age, level 100 - Crafted from the recipe of the same name. 11. 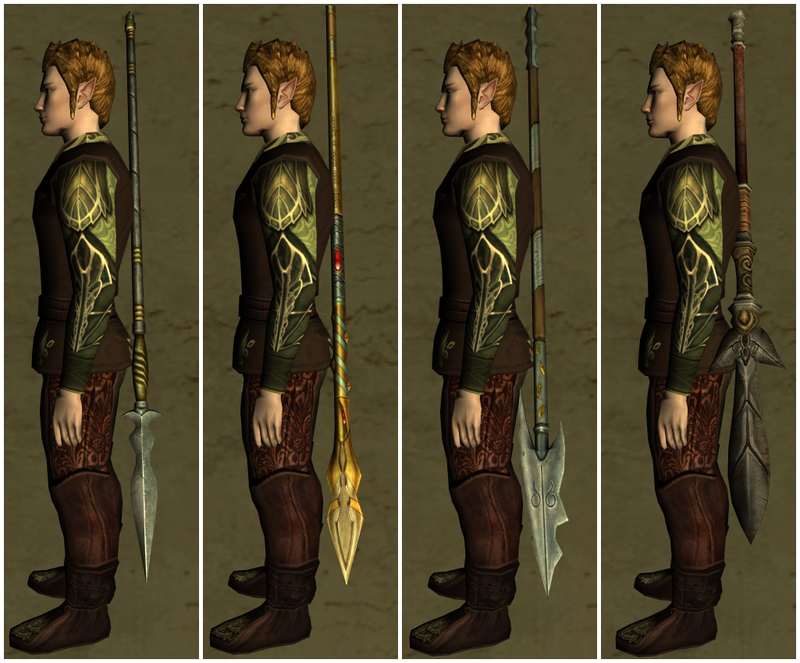 Reshaped Warden's Javelin of the Second Age, level 65 - Crafted from the recipe of the same name. 12. 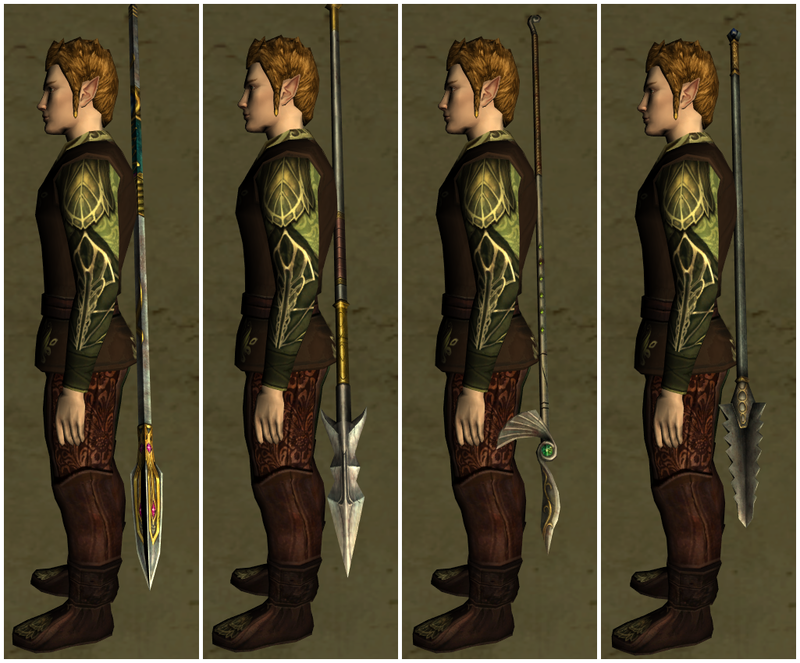 Reshaped Warden's Javelin of the Second Age, level 85 - Crafted from the recipe of the same name. 13. Reshaped Warden's Javelin of the First Age, level 100 - Crafted from the recipe of the same name. 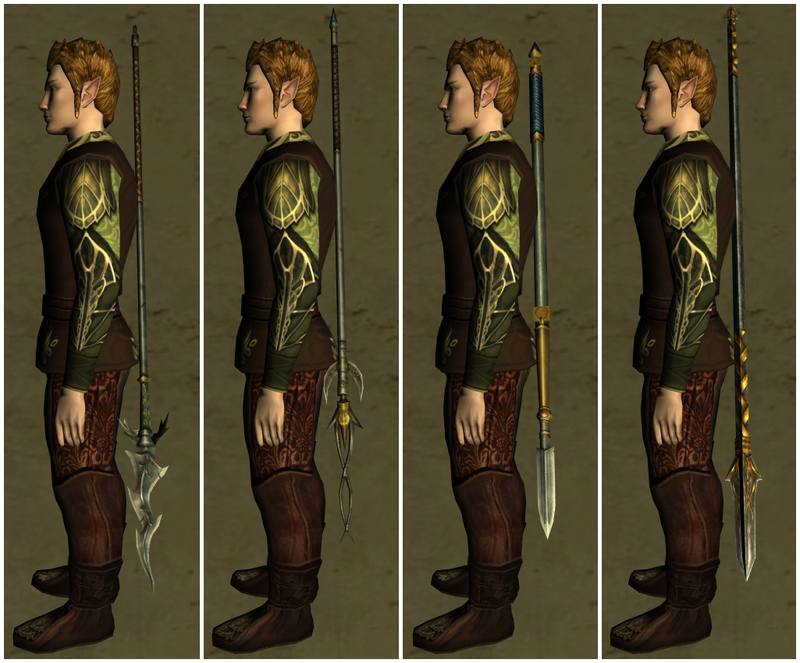 Crafted Warden's Javelin of the Third Age, level 65 - Crafted from the recipe of the same name.